Don’t know how to play favorites when it comes to traveling. But if I had to choose, Positano and Capri are definitely in my top 5. Dreamy on taking a dip in its clear blue water. Obviously a check off my bucket list. 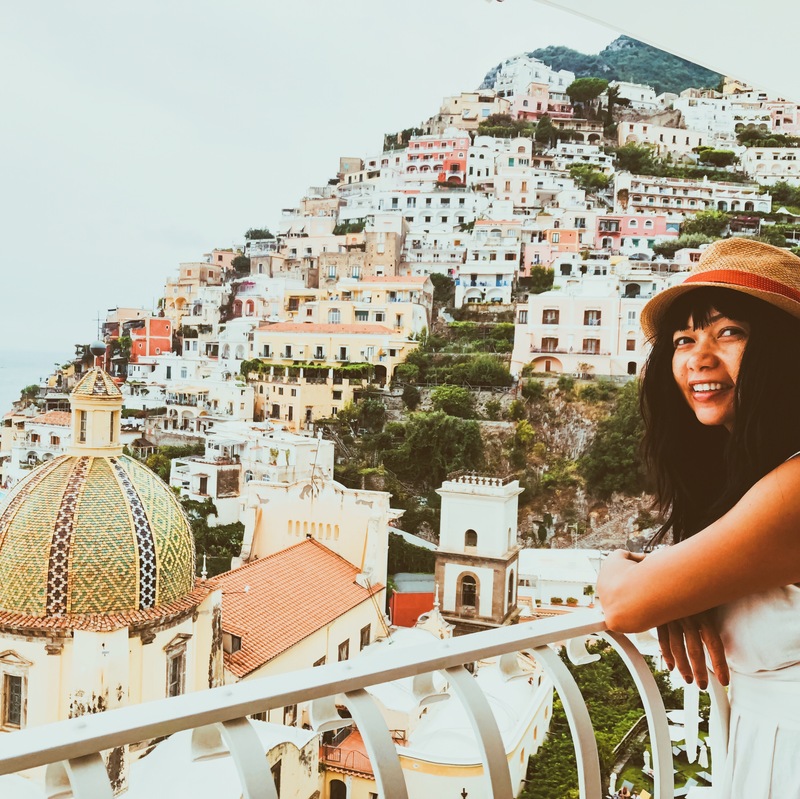 Capri & Positano were one of the highlights of our 10-day adventure through Italy. And it is a given why I spent my birthday in this dreamy island. 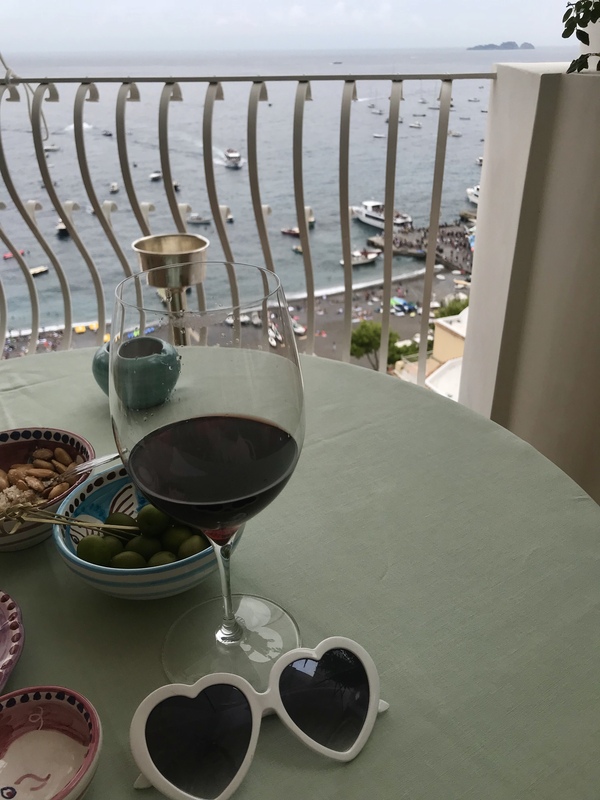 Here are my takes on what, where, and hows of Capri & Positano. Let me just tell you this – if given another chance I would definitely book a hotel or Airbnb in these islands. Capri & Positano can be reached by ferry from a number of ports. 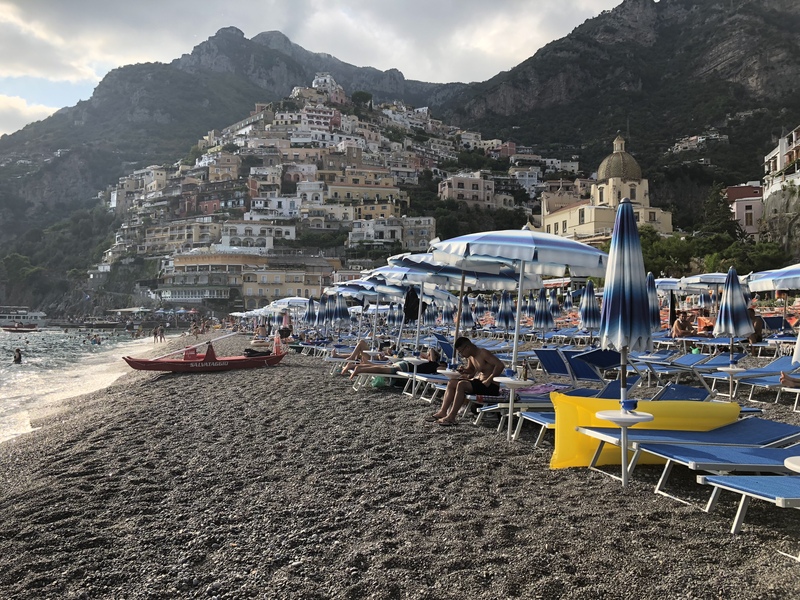 We caught the ferry from Amalfi town to Positano. It was around 15-20 minutes if you take the high-speed ferry and was less than 20 euros. 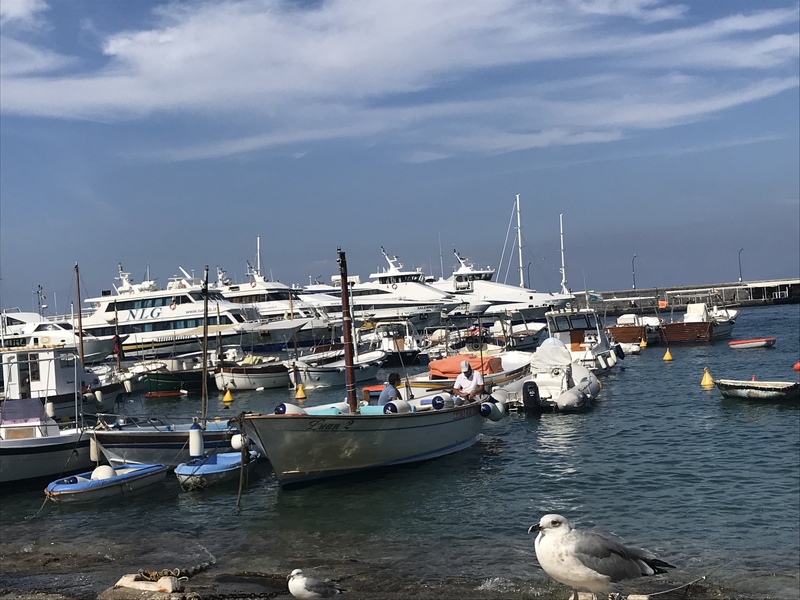 You can also catch the ferry from Sorrento and Naples. We decided to rent a private boat. https://www.positanoboats.info/. It is the best way to soak-up the islands. 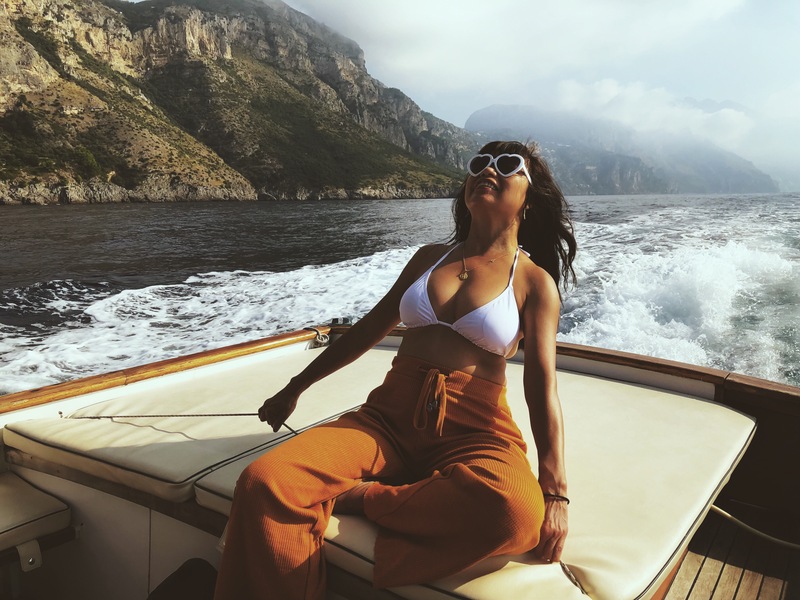 It was more than 8-hour boat tour from Positano to Capri. Francesco was an awesome guide and a great singer too! 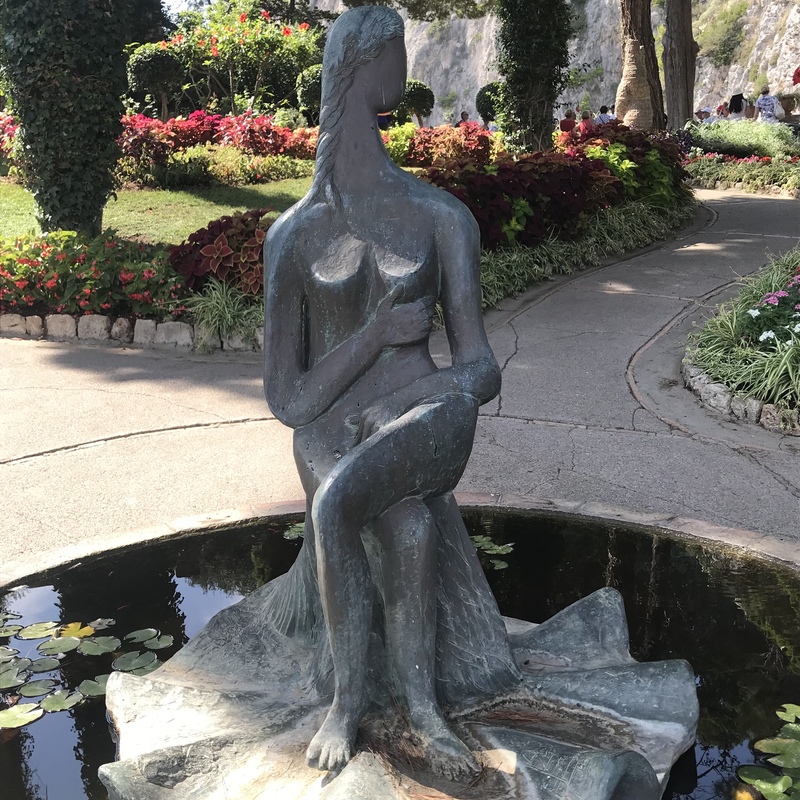 We stopped at the surrounding islands, including the green grotto. 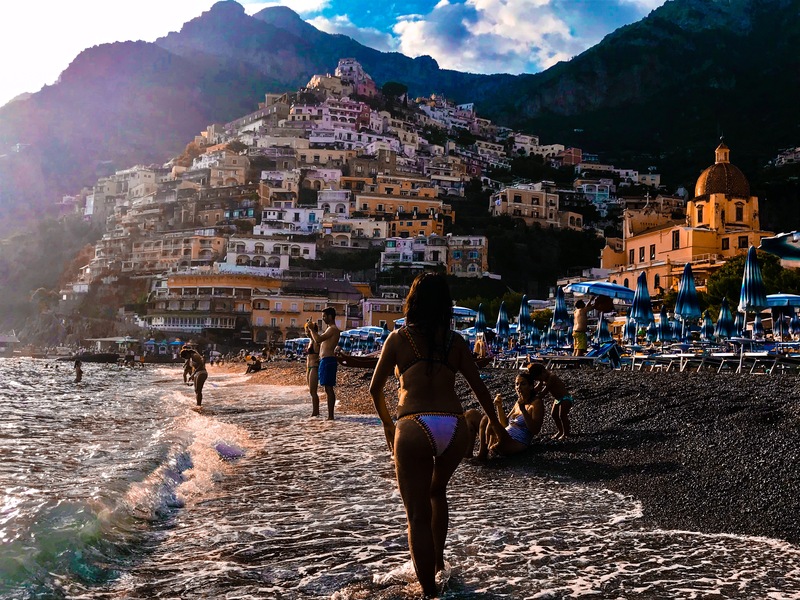 Positano: a beautiful beach town filled with colorful structures, exceptional restaurants. 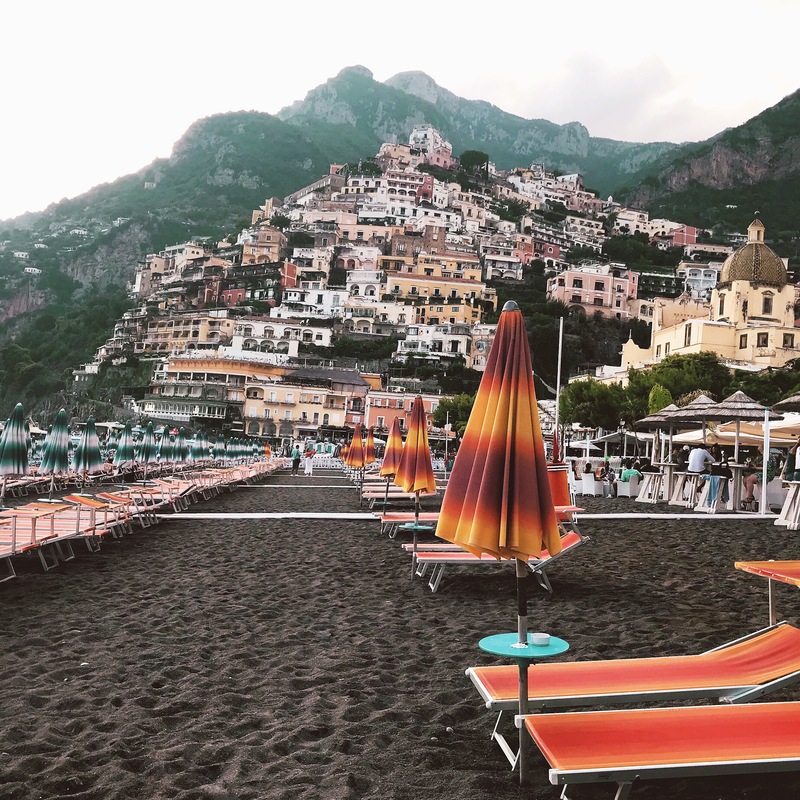 Positano is an island of winding roads that leads to the beach with the most vibrant umbrellas. Just a note: I recommend you rent an umbrella which is 25 euros for the entire day. It is so worth the relaxation, the dip in the water and the feel of an island existence of animations of colorful pristine fierceness. Walk up and explore the local artists alongside the roads. Maybe bring home a local work of art. Le Sirenuse: a boutique hotel where you can have an afternoon wine. Make your way to Franco’s Bar. Capri: A rocky island located off the bay of Naples. 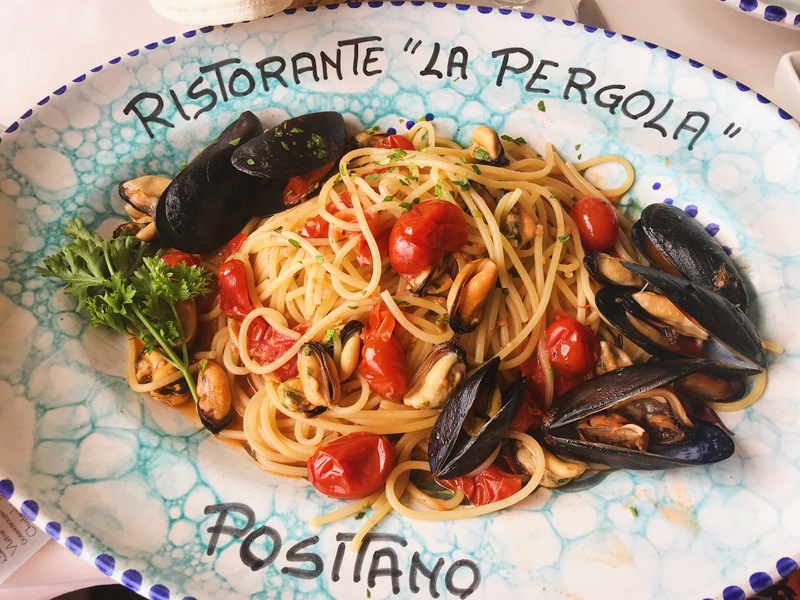 Conceivably the most famous and glamorous spot in Italy. 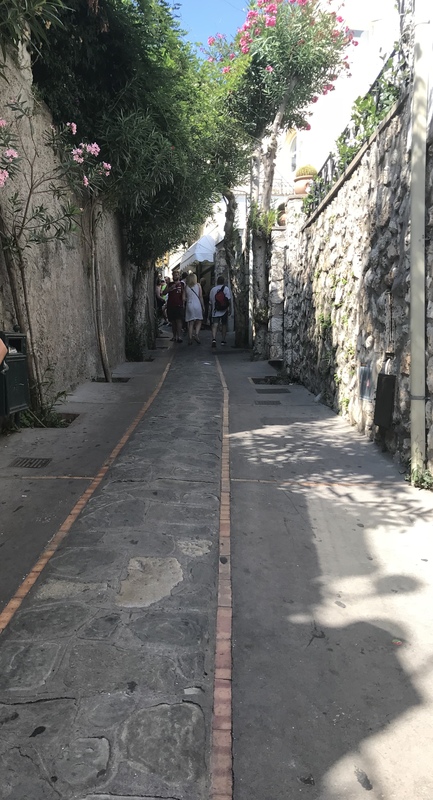 Once at the port of Capri – Marina Grande, you have an option of taking the funicular that takes you to the top of the island, which is the Capri Town. I suggest that you purchase your tickets ahead of time in order to beat the line and save time. It costs 2 euros each. 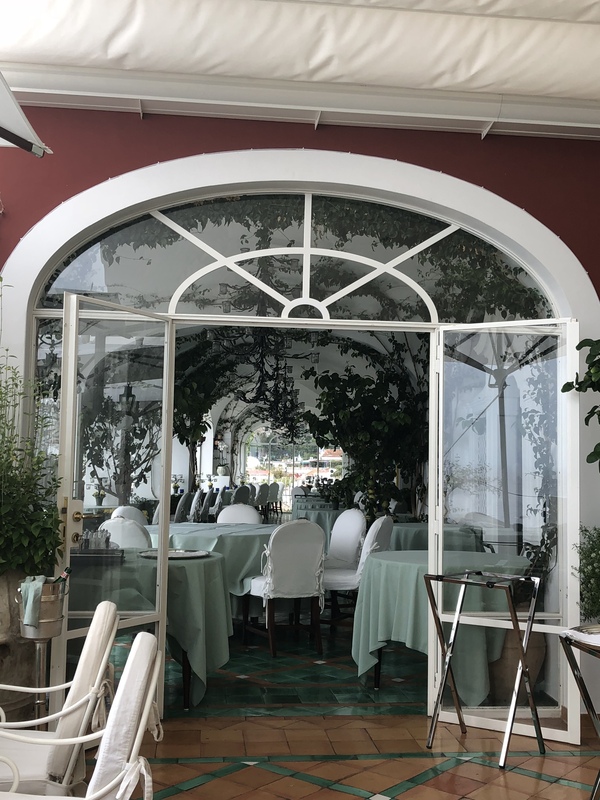 Explore the town of Capri. Stroll the Piazzetta . Walk up to the botanical Gardens of Augustus, and experience the panoramic views over the Faraglioni. TIP: if you are not into the designer trademarks? 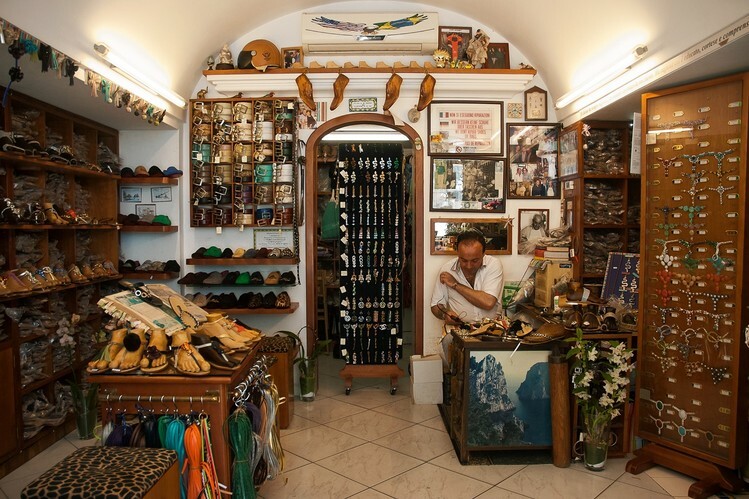 Capri is best known for making hand-crafted leather sandals, just allow yourself to make time for the cobblers to measure and make them for you. 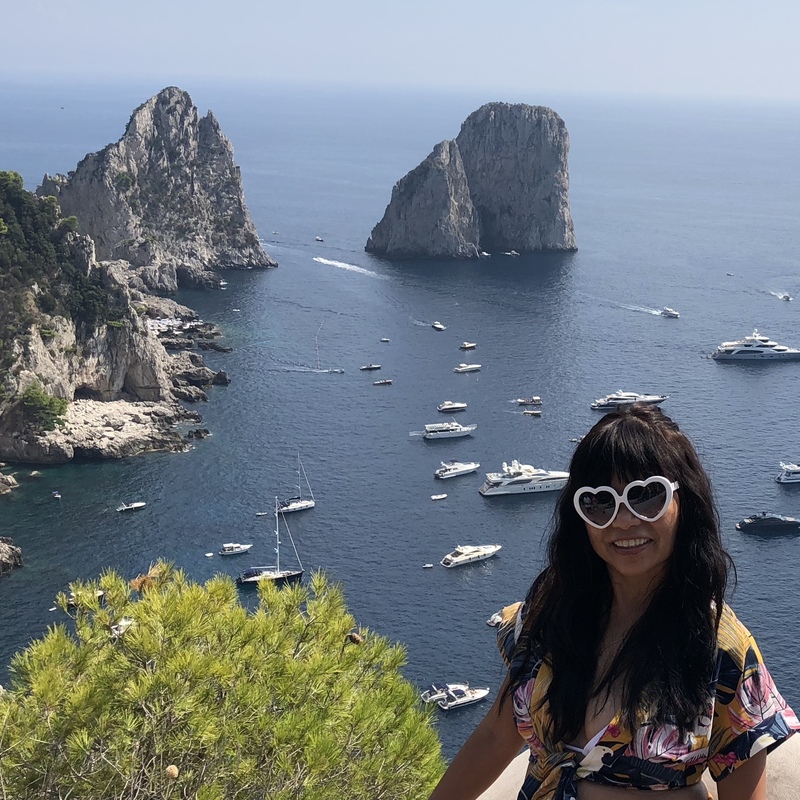 We swam the blue waters of Capri and a glass or 2 of prosecco to end an amazing day.